Keoghs has provided clients with legal services since 1968 from offices around the UK. Keoghs recognizes that its workforce consisting of 1700+ talented, enthusiastic, hard-working, and adaptable employees is second to none in its marketplace and their skills, ability and experience are critical to its success. 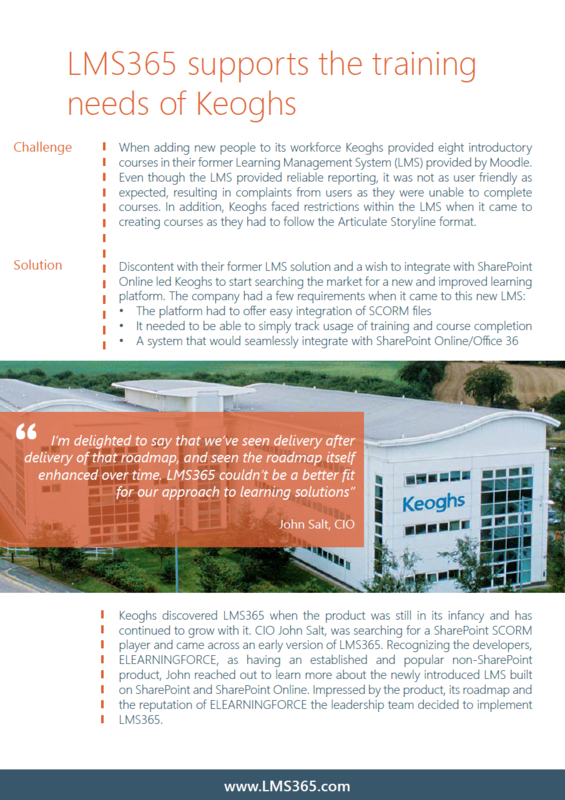 That’s why the company decided to move away from their former Learning Management System to the LMS built in Microsoft Office 365. 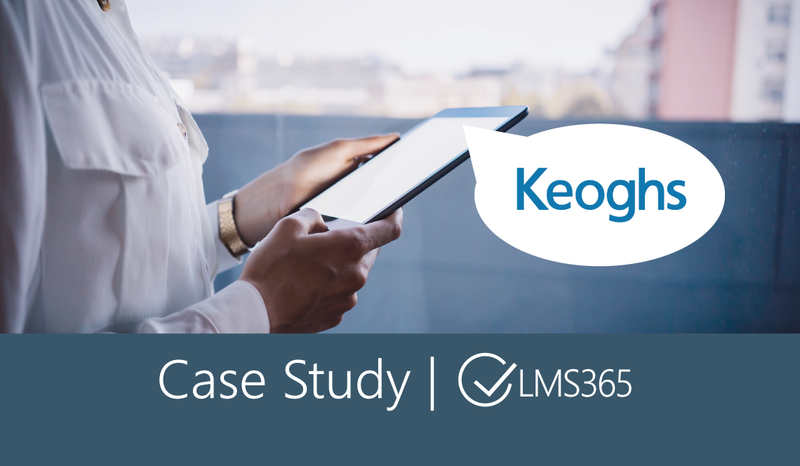 Find out the challenges Keoghs addressed and the success they’ve seen so far with LMS365.